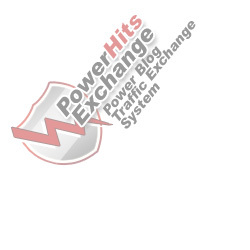 Can I use the graphics on your site to promote Power Hits Exchange elsewhere? NO ADULT CONTENT. NO HATE, NO WAREZ, NOTHING ILLEGAL, NOTHING ILLICIT, NOTHING IMMORAL, NO BANNER FARMS, NO FRAME BUSTERS, ALL SITES MUST BE MOSTLY IN ENGLISH. It's common sense stuff really, but for the record we're here to promote legitimate websites only. Typically our members promote online businesses, businesses tools and business events. As long as these meet with the above guidelines and don't offend anyone then that's fine by us.